I seem to recall when I took this photograph of the original Astroboy drawing in the British museum a year or so ago that I could see no reason for doing so. Little did I know that it was to illustrate our routine of today. Mr Three was sleeping beside our bed while we were in the big smoke, to give his mum a bit of a chance to sleep longer while she's battling with this all of life morning sickness thing. Astroboy on the internet before anyone even gets out of bed. We daren't move a muscle first thing in the morning, or he'll be on top of us, with pillow and big Ted, squeezing in and making himself a seat between us ready for the show to begin. We on each side of him and bleary eyed, fiddle with the laptop till we find an episode, then settle back as well for twenty minutes of snuggly TV time before breakfast. As the patron saint of those who dislike using television as a child minding device I shudder in shame at my own actions. It's OK I suppose, it's his daily dose while we're there and he's already checked out the big TV several times today, and confirmed that the red "stop" light is still glowing. 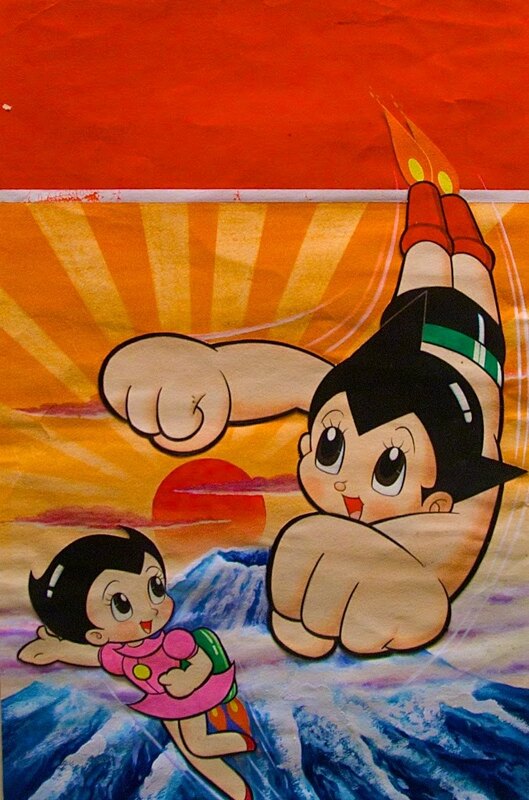 Besides, I quite like Astroboy. You reminded me of thy joy of having little ones jumping into the bed ... I remember the days of barely breathing when l heard little nieces and nephews peeping around to the door to see if we were awake yet ... then the fun when we decided it was time. We had a couple of those nieces visiting this weekend. They grow up so fast.